Modern-day phones are, in general, pretty easy to use. No wonder that their makers don't bother throwing an in-depth instruction manual in the box anymore. But the process of designing a phone, both on the inside and on the outside, is undoubtedly a complicated one. And then there's a bunch of code that has to be developed, debugged, and loaded onto the device to make it work. That's why you can't just grab a bunch of off-the-shelf parts and build your own cell phone at home over the weekend. Unless you're a devoted tinkerer and DIY enthusiast – just like these guys. Sumasta Pamungkas is a young, bright, and creative individual from The Netherlands. Several months ago, he scored an award for his awesome Phoenard project – a programmable gadget with cell phone functionality. Making calls and sending texts are far from the only uses for the device, however. Sumasta designed the Phoenard in a way that lets one write applications (called sketches) for the handheld. What's more, it can "talk" to other devices via its expansion port. This lets the Phoenard do all kinds of neat stuff, from making lights blink, to being the brains of a self-balancing robot. Hardware-wise, the Phoenard features a 2.6-inch touchscreen display, an Atmel microcontroller, Bluetooth, and GPS. If needed, expansion boards can be paired with the device to add Wi-Fi or MP3-playback capabilities. 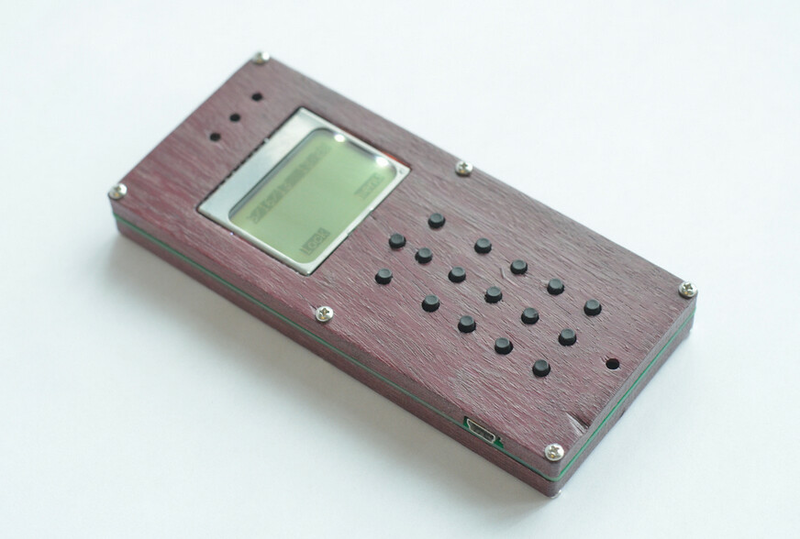 The PiPhone is another DIY cell phone built around hardware well known in the community. Its heart and brains is a Raspberry Pi, which is essentially an inexpensive credit-card sized computer aimed at anyone interested in learning how to code. For this build, the board has been outfitted with a GSM module, a 2.8-inch touchscreen display, and a lithium-polymer rechargeable battery. Its creator, David Hunt, says that the PiPhone project is more of a proof-of-concept thing demonstrating what can be achieved with easily obtainable components. Plus, building the gizmo has been a fun experience, he clarifies. The PiPhone is made of $158 worth of parts, in case you're wondering, with the GSM component costing the most – $48. The Raspberry Pi and the touchscreen module cost him $40 and $35 respectively. 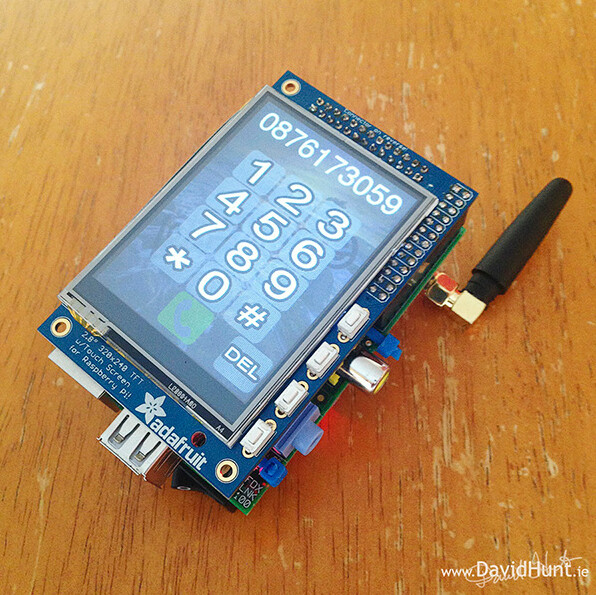 Next up we have the DIY Cellphone, designed by David Mellis at MIT. It is one that can be put together by anyone who knows how to use a soldering iron well enough. Priced at about $200, it is being offered as a kit containing all the parts necessary for building the device. The case, however, has to be made separately, preferably using a laser cutter and the provided plans. 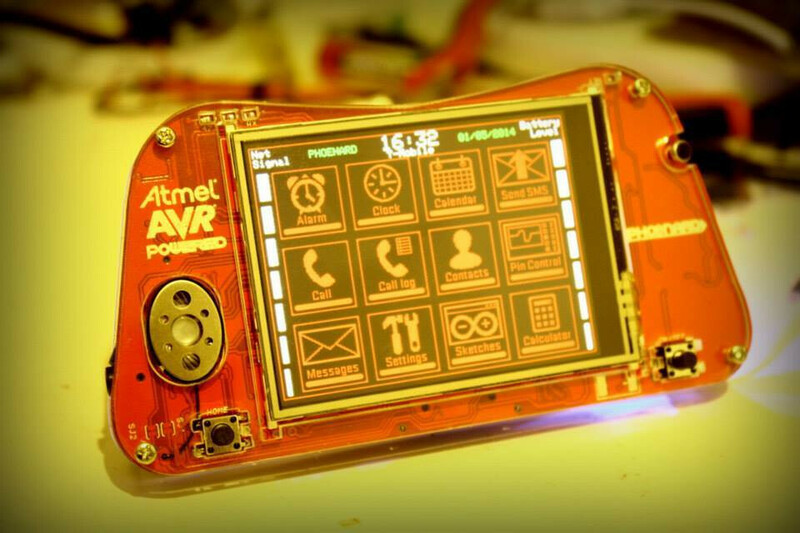 One of two screen models can be used for the DIY Cellphone – one that's akin to the monochrome side-lit screens on older Nokia phones, or a more basic, yet more robust one displaying characters with its array of red LEDs. 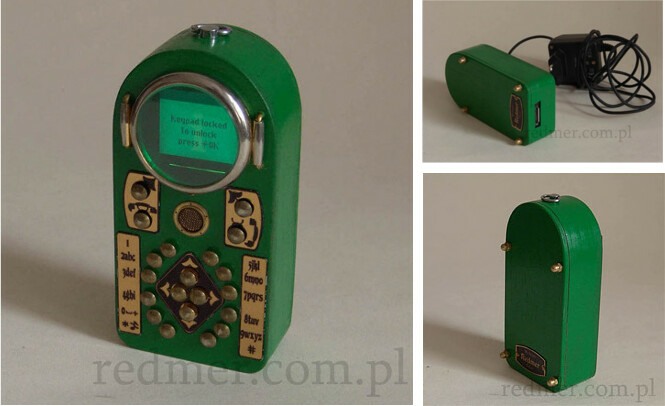 And then there's the Neo-Victorian cell phone, put together by Johan von Red from Poland. Basically, he ripped out the electronics from an old Sagem handset and put them inside this steampunk-inspired enclosure made of wood and brass. Sure, it is bulky, and texting on it would feel a bit awkward, but hey, you have to admit that the contraption has its own charm. While this particular unit isn't for sale anymore, a newer and better model is listed on the creator's Etsy page. Its $516 price tag, however, might make you think twice before hitting that "Add To Cart" button. "Did you know that building a DIY cell phone is totally possible?" Sure! iThought it was an iPhone. "Did you know that building a DIY cell phone is totally possible?" Yes, but the question is: "Can we get away safely from the fangs of justice from FCC as soon as they know there are 'unauthorized/uncertified devices' on the spectrum?" Guess not. Is it possible to upgrade/replace the hardware on a galaxy S3, Sony Z, or any other smartphone for that matter with a new camera, more ram, or a new cpu just like on a PC? Did anyone try? yes, it's possible... for nerds! iTruth hurts Even if you Google it and goto YouTube to find out what Apple as a company and the overpriced hyped products they sell to their iUsers, the fact that Apple is laughing at their iZombies customers: which you we are, you will still deny the truth, cause God only knows, knowing the truth and ignoring the factual truth is utmost delusional. i this these day we are going to have a new vocabulary with ithis,icar,itv,idoctor etc..
Dudes I used to work with back in the day at Radio Shack were doing this with analog phones, nothing new. Not my thing, but they'd take broken or water damaged phones people would leave when they'd upgrade or get a new device and pull the guts. Replace parts and build custom housings. It was very Stone Age. Cool to see people still doing it.